Vanna K Blog: 1st in Making a Statement! 1st in Making a Statement! 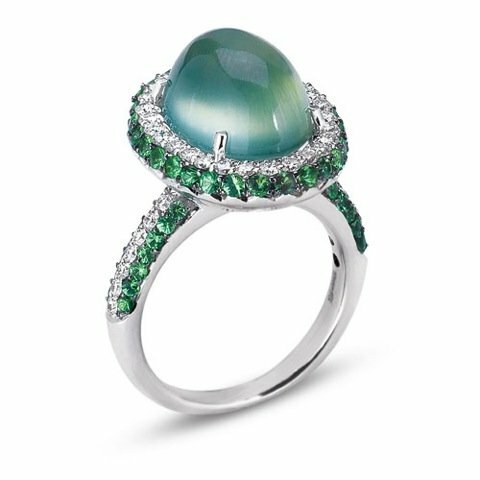 Vanna K's newest addition to the (Gelato Collection)- -Captain Cook first hand carried this mystique, mint green & rare gemstone from the cook islands .... (Phrenite) - Hand Set in 18 karat gold, Diamonds and Tsavorite garnets are micro-paved to create a spectacular Fashion forward Statement!